The aftermath of General Motor’s sale of its Europe-based Opel and Vauxhall brands to the PSA Group signals a major change for the Detroit automaker. CEO Mary Barra, according to Automotive News, has already clarified that the “Opel deal is not the end of its effort to pare its portfolio.” However, it’s pretty unlikely at the moment that GM would decide on yet another dramatic sale in the immediate future. “There’s a little more work that we’re doing in the international markets,” Barra stated in Paris following the completion of the Opel-PSA deal. “Our overall philosophy is that every country, every market segment has to earn its cost of capital.” Remember, Opel lost some $20 billion for GM since 1999, hence the sale. But Barra and her top lieutenants are not afraid of shaking up the status quo if the situation calls for it. According to Kelly Blue Book senior analyst, Rebecca Lindland, “In Mary Barra’s GM, everything is on the table.” Does this mean additional brands, even ones sold in the US like Buick and GMC, could see the chopping block if they don’t return expected profits? Not likely, at least not at the moment. Remember, GM already cleaned house, brand wise, as part of the US government bailout conditions, killing Pontiac, Hummer, Saturn and Saab. As we’ve already reported, GM is now more focused on crossovers rather than sedans or coupes, hence the Buick Verano’s recent execution. 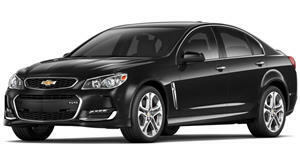 The V8-powered Chevrolet SS sedan is also on its way out. 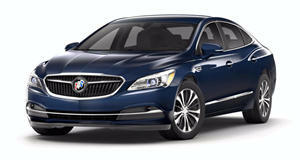 At the same time, Chevrolet Impala and Buick LaCrosse sales are falling, so their time may be limited as well. Basically, GM wants to free up more capital for SUVs, pickups, autonomous vehicles, Cadillac and the Chinese market. Markets that could be in trouble in terms of GM limiting or ending manufacturing are Russia, Australia, Indonesia and Thailand. But GM’s new thinking is that if anything, brand or market, can’t prove its worth, it’ll be finished.